Burbank commuters come in all kinds. People bike, walk, bus, scoot, carpool, vanpool and drive. This series is intended to share the stories of commuters who demonstrate it’s possible to get to work without driving alone! This month’s model commuter is Yolanda warren! Yolanda works at Warner Bros. and commutes from her home in North Hollywood. 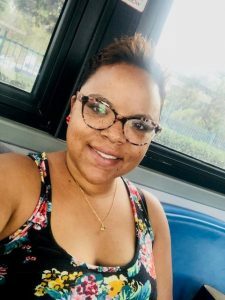 She shared some practical feedback with us about her daily commute aboard Burbank Bus. I like to be able to read a good book or check emails. 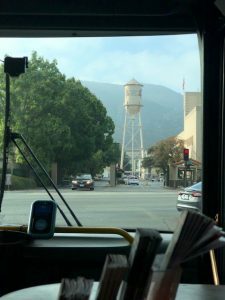 Scott Bogash, who used to work at Warner Bros., informed me about the Burbank Bus. The NoHo Metro Station was conveniently located across the street from my apartment complex. Do you have any interesting commute stories you’d like to share? No. The commute is so short, nothing interesting happens, people are on their phones or reading. The Burbank Bus is $1.00 per trip and lets you off right in front of gate 4. It also takes the TAP card. Follow along with Yolanda on Social Media! Want to know more about the Burbank Bus or how to get started on a car free commute? Contact us today!